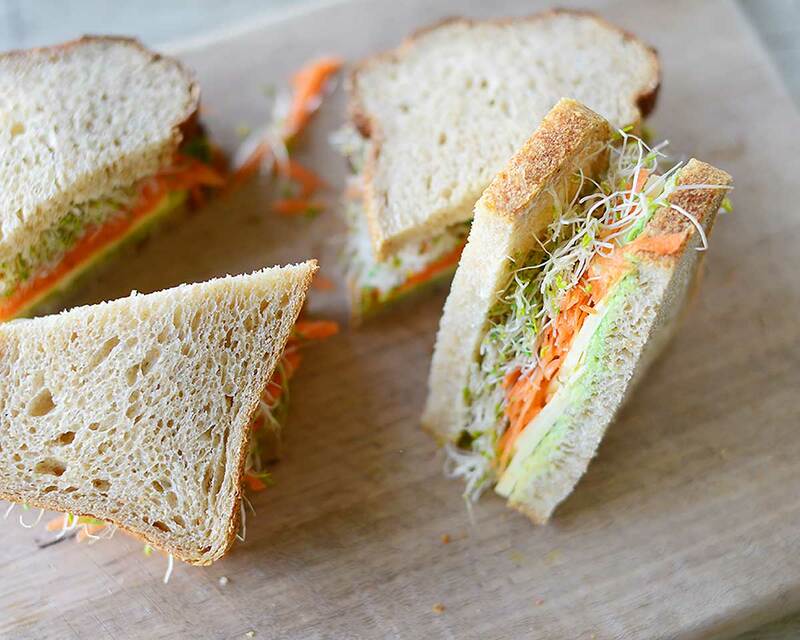 This sandwich is an old-school favourite – but really, who could resist salad, alfalfa sprouts and cheddar on really good sourdough?! Simple, delicious and swiftly assembled it’s comfort food with nutritional credentials. Spread the mayonnaise over two slices of bread. Spread the avocado over the remaining two slices and season liberally. 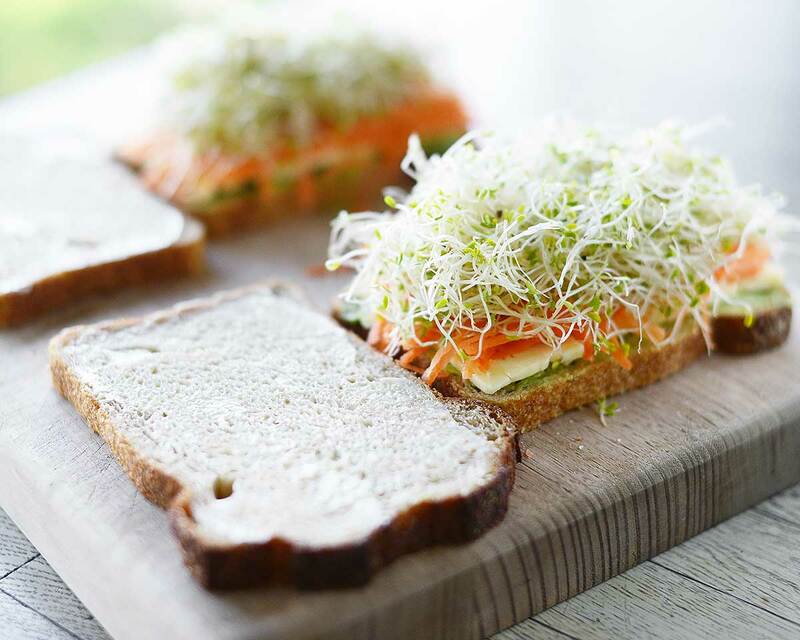 Divide the cheese slices between the avocado-covered bread then add the carrots and sprouts and season. Top with the mayonnaise-covered bread, halve and enjoy!